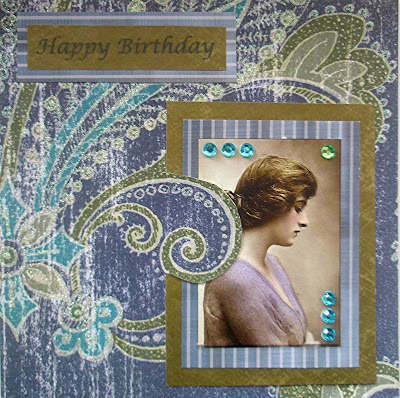 Oh, oh, I've made a card but it's also the new challenge card for the DewDrop blog.....what time tonight is the deadline please? Great cards everyone. My first opportunity to play with the challenges. Off now to do another one! 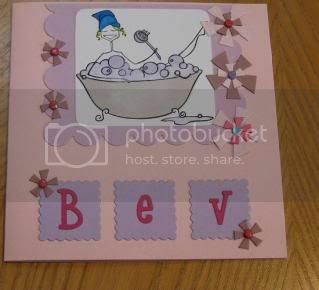 Know it's late but didn't want to show until it was on Nikki's blog but here is my card! Well after a very busy few days I finally got to take part in the birthday challenge! Heres my card, it has 7 flowers in total.